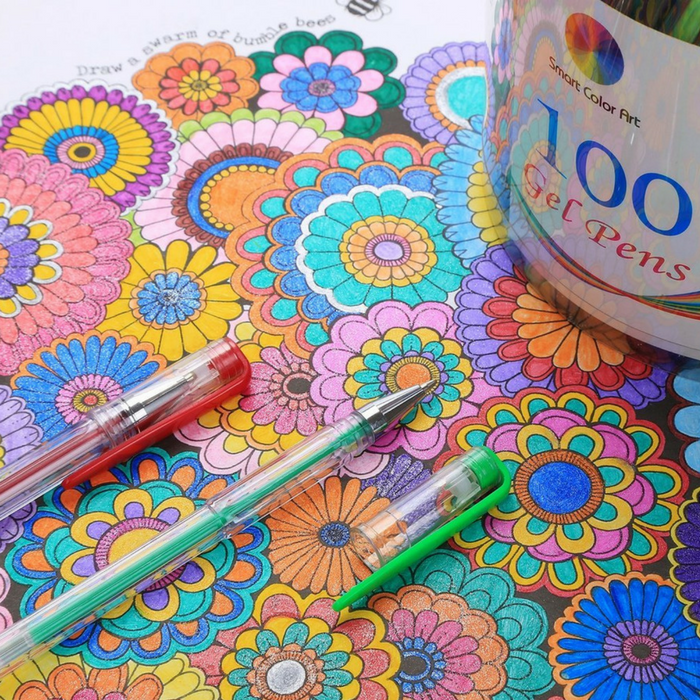 100-Piece Gel Pens Just $12.97! Down From $59! You are here: Home / Great Deals / Amazon Deals / 100-Piece Gel Pens Just $12.97! Down From $59! Head over to Amazon to score this 100-Piece Gel Pens for just $12.97 down from $59 PLUS FREE shipping with Amazon Prime or for orders $25 or more! This product contains 5 different color serieses which includes glitter, neon, metallic, pastel & standard. All eco-friendly material produced, German ink and Swiss tip made, this 100 colors gel pen is perfectly assembled. Same to the name, our 100 colors gel pen enjoyed plenty of colors that can be used in daily writing, marking and painting. VARIOUS COLORS:We collect all the popular colors together. Glitter, Metallic, Milky, Neon & Standard , total 100 Colors! Multiple colors become the garantee of your perfect works!